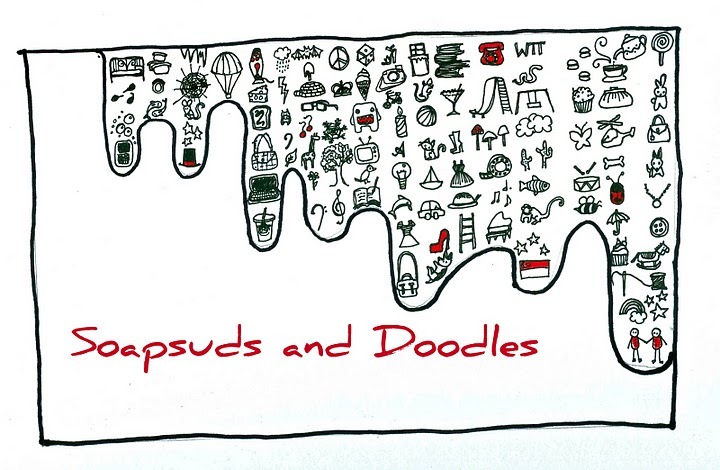 Soapsuds and Doodles: Heads up! Nothing some Starbucks and chocolate can't put right. This is just a quick post to let people know, if they are interested, that there are some massive sales going on at the moment, with some good ones in particular. The other day, Shriya, Anjuly and I were in town and happened to see 70% off signs screaming at us from the windows of Accessorize. I love window shopping at Accessorize as much as the next girl, but everything is so ridiculously priced that I normally can't bring myself to buy anything. And I almost never see them going on sale. My point being that - if you happen to be near one now, or see one go on sale in future, I'd highly recommend stopping by because the drop in price makes the goods so worth it! I normally hate flip flops. I only own one pair here and it takes me from the kitchen, to the bathroom, to collecting my mail. When I wear them plain, I often feel sloppy and a little too casual, but these embellished ones from Accessorize really changed my mind. And the pair on the left? £6. The pair on the right? £5! Can't argue with that! I love the simple bow and charm detail on the black pair - enough to jazz it up but not so fussy that I have to be worried about running around in them all day. And I've never seen slippers with buttons - too cute! All the embellishments are also sewn, not glued, on. Also really worthwhile? These anklets with the string one going at 90p (!) and the beaded one at £1.50. I used to wear silver anklets all the time, but they occasionally rolled and pinched and chafed at my skin. These string ones are very comfy! I didn't actually wear them out together - this was just for the purpose of illustration, but I wore the string one out over my purple tights today and I thought it popped rather nicely! I've never thought of wearing an anklet on anything but bare skin but thanks to 14 degree wind chill, a different style is born. This blog, like many others, is a partitioned representation of just one aspect of my life and while I like to keep it separate from everything else that's going on, I just wanted to say that if you are in London (as I know many commenters are) or any troubled places nearby in these unbelievable times, I hope you are safe and stay safe. And on a more nostalgic note, if you are in my hometown, Happy Birthday! I couldn't watch the parade this year, but I was thinking of it with all my heart. These sandals are adorable and I am with you on the flip flops issue...generally this is for getting the mail or going to do laundry... But these are really cute and for the prices you paid??? Ehhh why not? 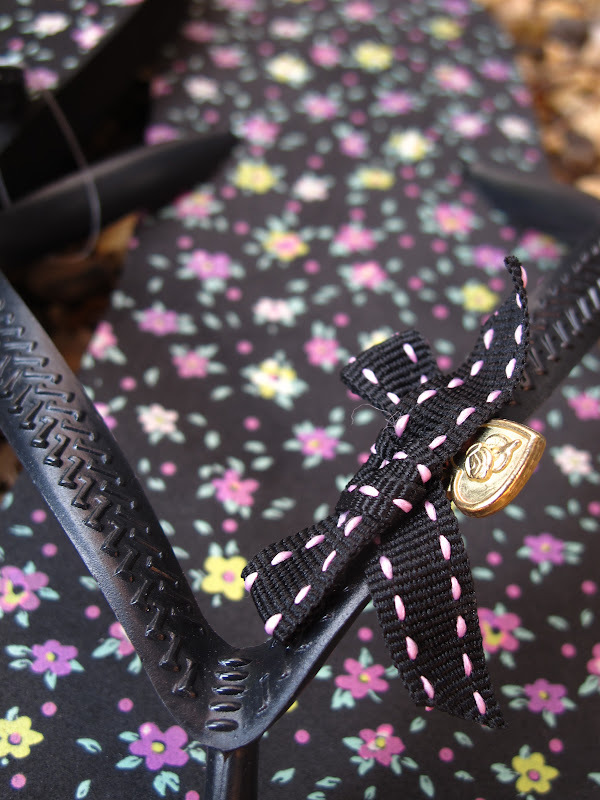 I love the embroidered detail on the jandals! Gorgeous! THE FLIP FLOPS WITH THE BUTTONS ARE THE CUTEST THINGS!! Cute flip flops! i wear mine all the time in summer. These anklets are so cute! here in brazil there are some massive sales going on too! what do you mean you ahte fliflops?? over here in Rio you cant live without them! they're are a must item in these shores! the buttons on the flip flops is adorable!! 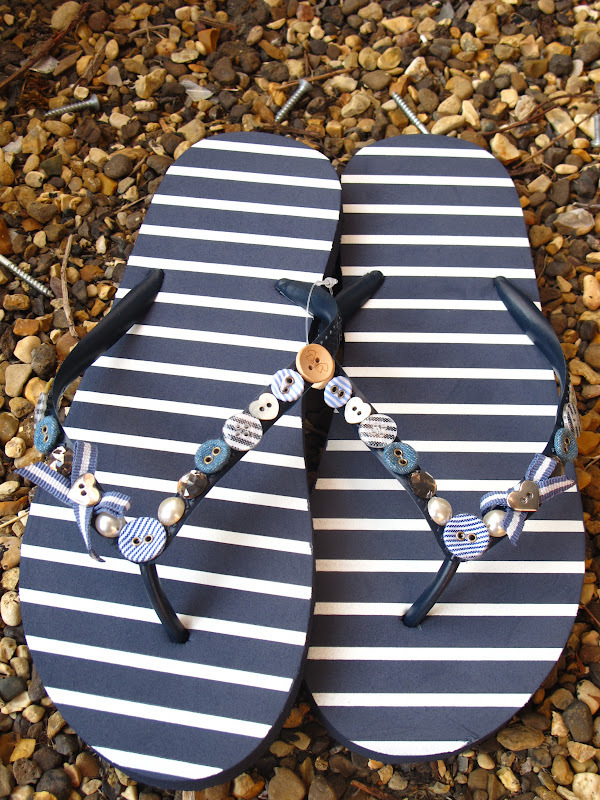 The button flip flops are really cute, great idea for a DIY too! those black flats are cute! Im not a big flip flop fan either, but the ones I do own are from accesorize! I'm just about as average a girl as you're going to get. I'm not tall or thin or beautiful. I'm not good at taking photos, being interesting or looking nice. I don't have tons of money to spend on designer clothes or tons of time to go shopping for them. I'm not particularly tech savvy. But I have a smart camera and I like to write. Besides, I figure blogging is a bit like singing in the shower. It won’t affect those who don’t hear it, and those who do hear it must be pretty durn close to you anyway. 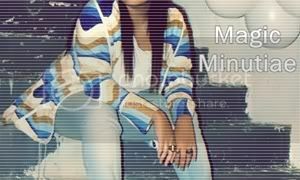 Magic Minutiae: I'm a member!